Pearl Cup Coffee serves drinks with a nice little bit of latte art. This Pearl Latte tastes as good as it looks. Even better, in fact. 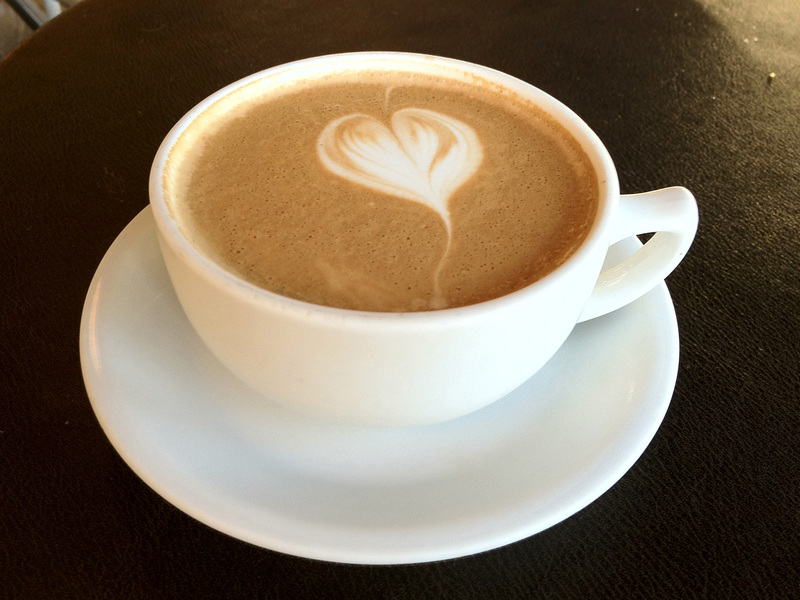 If you like coffee and you live in Dallas, Pearl Cup Coffee on Henderson is the place to go. Even with four stars and over 150 reviews on Yelp, Pearl Cup lives up to the hype. This is the first of a series of coffee shop reviews I am writing for The Dallas Socials. I am honored to be a guest writer for their blog, and I hope that you will find their site as useful as I do. Visit TheDallasSocials.com for more information on Pearl Cup Coffee and other great things to do in the Big D.
Pearl Cup on Henderson is out of business, though I’m keeping this article up for archival purposes. Thankfully, you can still get your Pearl Latte fix. If you’re ever up in Richardson near UT Dallas, I highly recommend their new location on Custer Parkway. And if you’re looking for coffee off of Henderson Avenue, the old Pearl Cup location is now Houndstooth Coffee. With stools instead of chairs, it’s not quite as as cozy, but the coffee is pretty good. Don’t forget that the cappuccinos here taste exactly like what you get in Italy!